If you have questions about The Mountain Winery, please take a few minutes to browse our comprehensive FAQ section. If you can't find what you are looking for don't hesitate to contact us. What time does the venue open before a show? Since the start time varies from show to show, the parking lot opens 2 ½ hours before show time. The venue, including The Mountain Winery Restaurant, and concessions open 2 hours before the stated show time. How do I purchase ADA accessible tickets? The Mountain Winery has wheelchair accessible seating that can accommodate various height needs so that wheelchair users can see the stage. To purchase tickets for any special needs please call (408) 340-6815 or visit mountainwinery.com. Limited parking is available for any persons with disabilities or those who require additional assistance. If you need special assistance, please let a Mountain Winery representative know upon entering the gates. Assisted listening devices are available for no charge from the Mountain Winery Box Office. Photo ID is required as a deposit. When is the on-site ticketing box office open? On concert nights, two hours prior to showtime until the end of intermission. Beginning on May 18, 2019 the Box Office will be open on Saturdays only from 12:00 p.m. - 4:00 p.m. and on show days from when the doors open until intermission. If you wish to buy tickets prior to May 18, 2019, please visit AXS.com. For additional ticketing questions, please call (408) 340-6815. Outside food and beverages are not permitted into the venue. Wide selections of dining options are available to choose from. Please visit our Concert Dining Page for a description of each restaurant and sample menus. What items are prohibited during concerts? No electronics are allowed in venue with the exception of cell phones. Please leave these items at home or in your car. No professional cameras, no signs and no backpacks. Alternately, these can be checked at the Box Office and picked up after the show. On concert nights, General and ADA parking is $25 on-site, carpool of 3 or more is $15. Reserved parking is available for $40 when you purchase your tickets online. 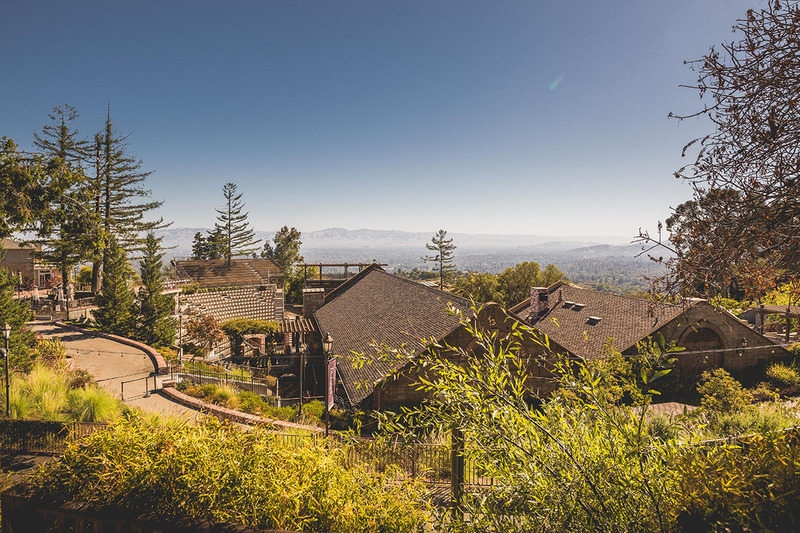 While the weather at The Mountain Winery is similar to the weather in San Jose or Saratoga, our mountain top location means that our weather can be unpredictable. Up here, the wind usually picks up after night fall, and during the day we are more exposed to the sun. Please consider our mountain top location when preparing for an evening concert. Dressing in layers is recommended to ensure a comfortable experience. High heels can be challenging as there are hills and stairs on the way to your seat. What if I need to contact you during a concert? What if I lose an item during an event? You can contact our office at (408) 741-2822 regarding lost and found items. Can I make dinner reservation but not attend concert? No. Everyone attending dinner must also purchase a ticket to the show.